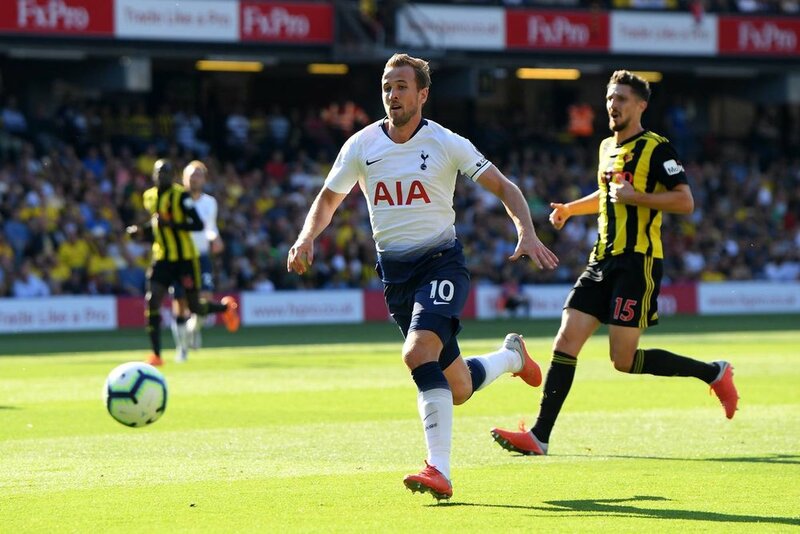 Watford came from a goal down to topple Tottenham at Vicarage Road in the Premier League this afternoon. 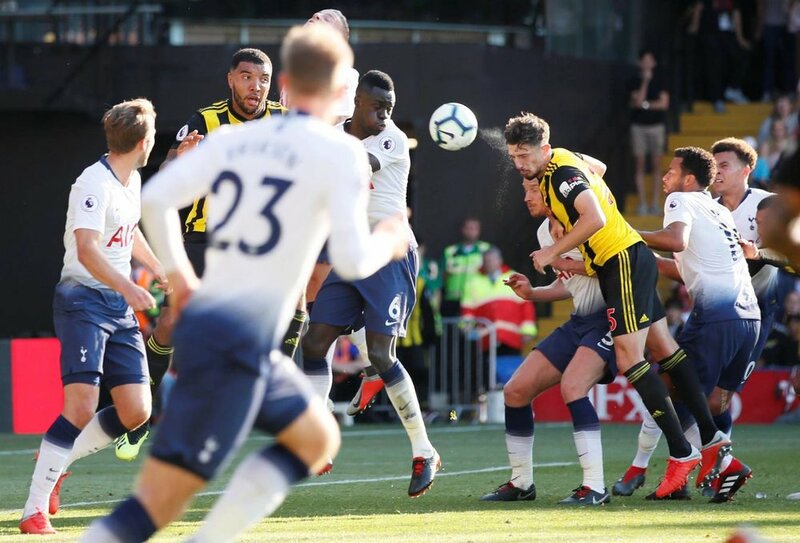 After a scrappy first half, an Abdoulaye Doucoure own goal gave Spurs the lead. 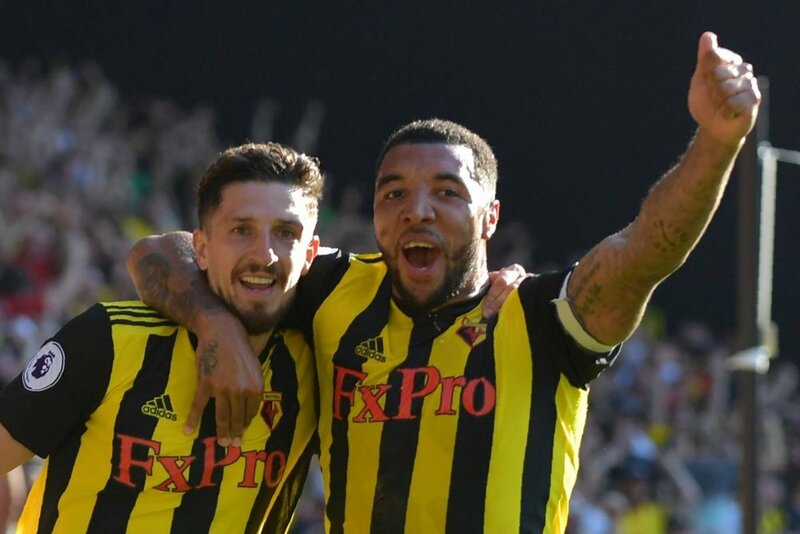 But, a Watford revival was sparked as Troy Deeney and Craig Cathcart scored to give the hosts the three points. 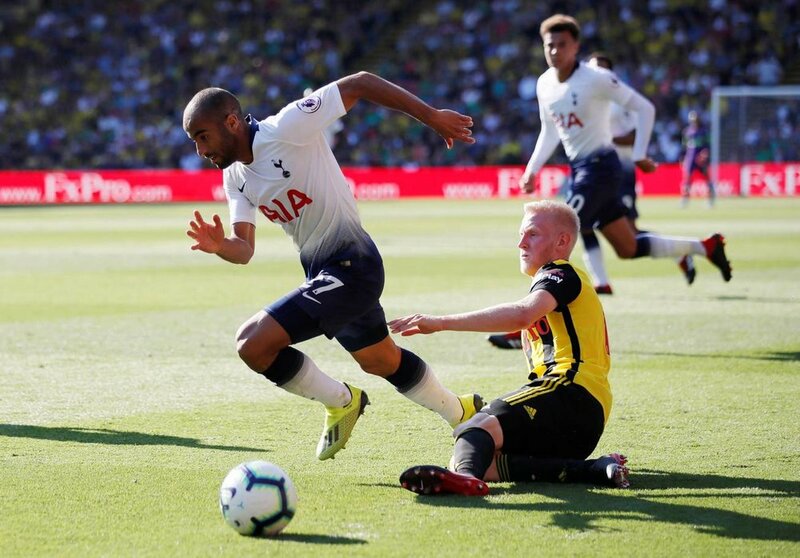 The win is now Watford’s fourth in four consecutive league games, whilst Spurs failed to carry on their own momentum. Mauricio Pochettino made three changes from the demolition at Old Trafford and restored a three at the back formation. Ben Davies came back in for Danny Rose, as did Davinson Sanchez for Eric Dier. Michel Vorm also deputised for the injured Hugo Lloris. The first half was disappointing and lacked clear goalscoring opportunities on both sides. The best chance fell to Dele Alli, as Toby Alderweireld’s diagonal pass was headed over by the Englishman. Spurs began the second half brightly, as Christian Eriksen had a couple of attempts. They took the lead in the 53rd minute, as Doucoure was unfortunate in putting the ball into his own net. Eriksen picked out Alli in a central position, from just outside the penalty area. He lobbed the ball into the box, and Ben Foster was caught in a poor position. The ball was headed out to Lucas Moura, from the right-hand side. He played the ball back into the danger zone, and the Frenchman diverted the ball into his own net. Watford began to create opportunities and hit the woodwork. 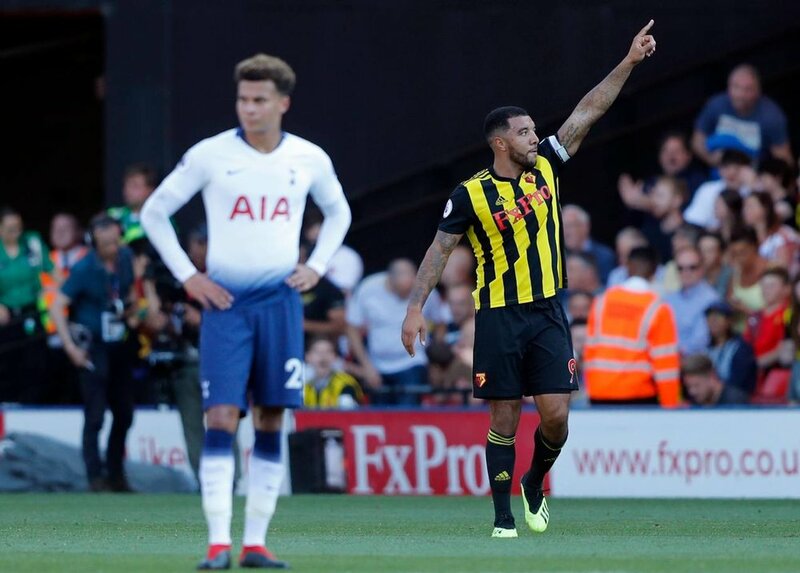 Deeney’s clever cross from the right was headed onto his own crossbar by Alderweireld, as a second own goal was almost scored. However, the Hornets equalised in the 69th minute. Moussa Dembele fouled Will Hughes, and a free kick was given from the right-hand side. 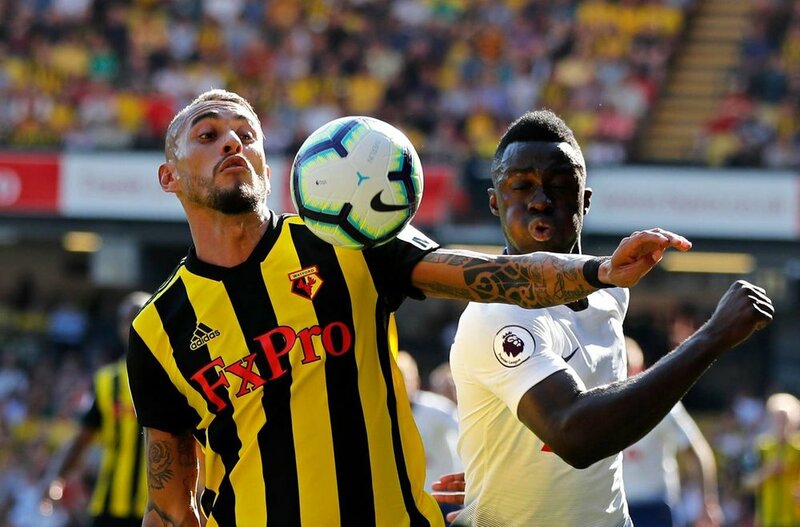 Jose Holebas whipped the ball in, and Deeney glanced his header in beyond the reach of Vorm. They then turned the match on its head, as Cathcart scored from another set piece. Holebas picked up his second assist of the game, as his corner was met by the Northern Irishman, who powered his header home at the near post. Spurs then introduced Harry Winks, Danny Rose and Fernando Llorente, but couldn’t create any more chances and conceded defeat. Following on from the incredible victory at Old Trafford on Monday night, Tottenham will be left furious that they have failed to maintain their form. They face flying Liverpool at Wembley after the International break and will look to end the Reds sparkling form. Javi Gracia’s side had their most difficult test of the season so far, but showed character to win for the fourth game in a row. They now sit third, and host Manchester United next.